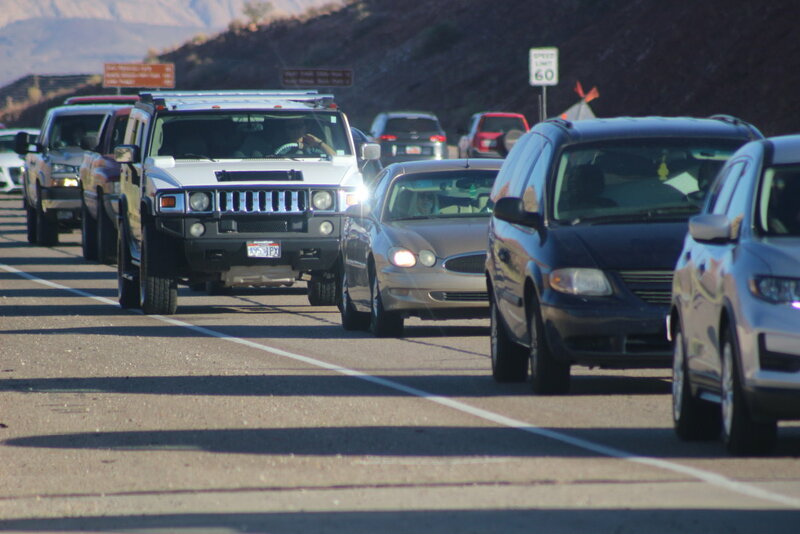 WASHINGTON CITY – An incident on state Route 9 just east of the Exit 16 interchange Friday evening had traffic in both directions slowly moving around Utah Highway Patrol troopers investigating a possible domestic violence situation that had played out on the road. 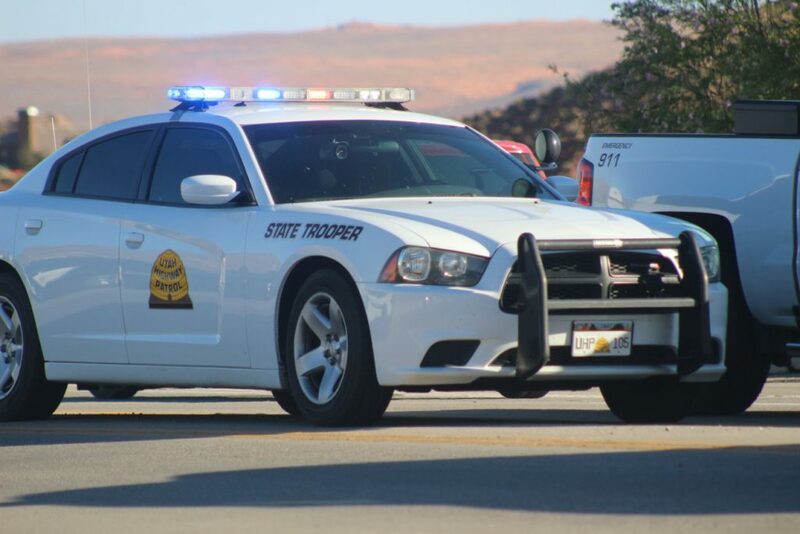 Around 5:20 p.m., UHP troopers and other emergency responders were dispatched to the report of a motorcycle versus vehicle collision on SR-9 in the Coral Canyon areas of Washington City. 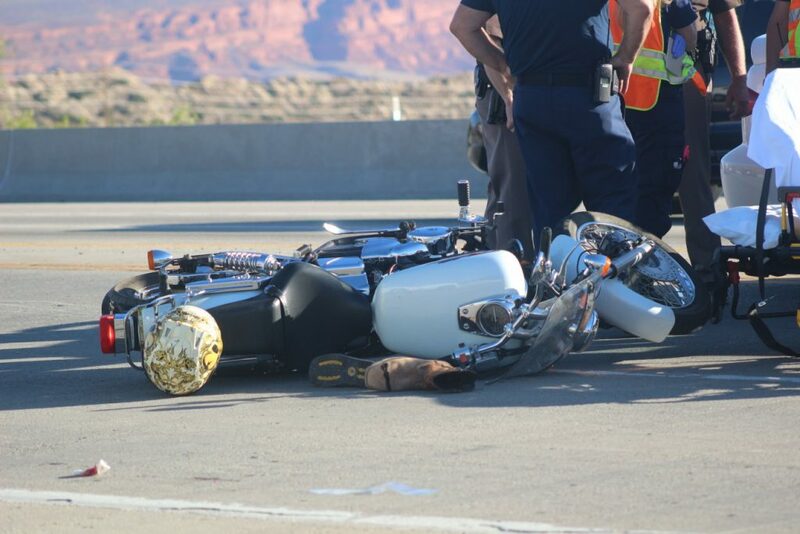 The man on the motorcycle and the woman in the vehicle are a former husband and wife, UHP Sgt. Larry Mower said. The ex-husband has allegedly been harassing the woman and was following her on his motorcycle. In response the woman may have moved the car in a manner that resulted a collision, Mower said. However, the exact details of the crash are still being pieced together, Mower said, as witnesses at the scene told troopers the motorcycle may have collided with the back of the vehicle as well. The matter is the subject of an ongoing investigation, Mower said, adding the whole incident was rather convoluted at the time. Due the nature of the crash being a part of a greater investigation involving domestic violence, Mower said he was unable to give anymore details. 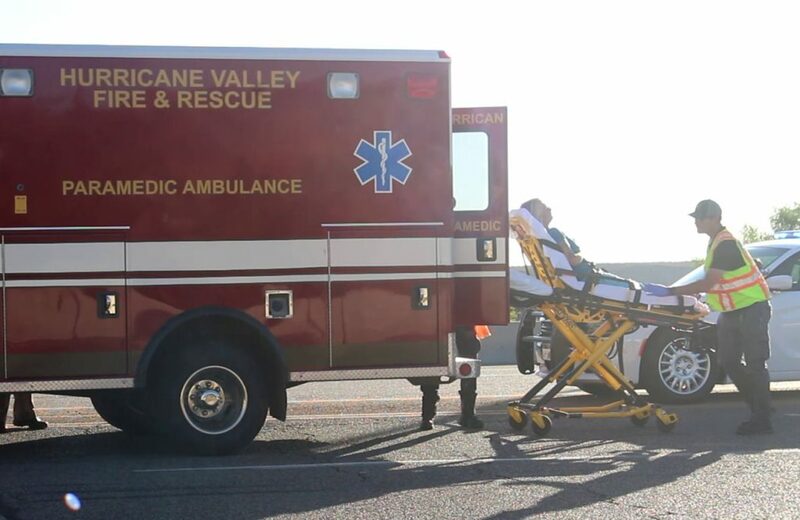 The motorcycle rider was taken to Dixie Regional Medical Center by ambulance and was eventually followed by this ex-wife who was loaded into another waiting ambulance as well. She was placed on a stretcher and was followed by two small children who had also been in the vehicle. The extent of any injuries received in this incident is unknown at this time. The children appeared physically unharmed. East and westbound traffic on SR-9 was limited to a single lane as it passed by the crash scene. At one point eastbound traffic slowed so much it nearly backed up to Interstate 15. Fortunately traffic was able to keep moving, albeit slow going at first. The scene was ultimately cleared 6:30 p.m.
As a former English teacher, I love grammar police, even when they point out something this former English teacher (but not infallible human) missed. It has been remedied. Thanks! I was Trolling St George news at 11:00 am when I came across this article …well golly gee whiz silly willy wonkers there grammar police…go go Gadget dictionary ! I thought I told you to go to your room. No electronics! And No Dinner!!! Well to start… it takes an investigation.